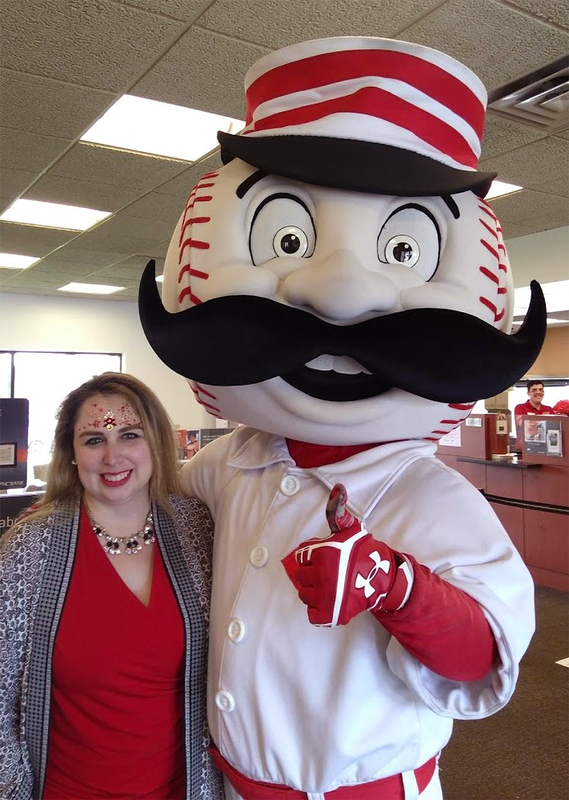 I had the pleasure of face painting at one of PNC’s branches https://www.facebook.com/pncbank/ celebrating the Reds Baseball team https://www.mlb.com/reds. Mr. Red Legs is always a hit. It’s so much fun when the branch employees get in on the fun with Mr. Red Legs. This entry was posted in Uncategorized on August 13, 2018 by Joyce.